2190 Shattuck will yield millions of dollars for affordable housing. p>One year ago, Berkeley Mayor Jesse Arreguin tore into a bill that would have upzoned areas around transit hubs for high-density housing projects. Arreguin famously called the bill — which was authored by state Sen. Scott Wiener and co-sponsored by Sen. Nancy Skinner, but ultimately vetoed by Gov. Jerry Brown — "a declaration of war against our neighborhoods." Arreguin's progressive brand of NIMBYism, typically focused on achieving certainty that Berkeley receives a fair deal with housing developers, is well known and sometimes a great point of derision among pro-housing activists. But something appeared to change last month when Arreguin strongly supported an 18-story, 274-unit market-rate housing development near the Downtown Berkeley BART station. Arreguin had seen the light. "My thinking around the housing crisis has definitely changed," Arreguin said in a recent interview. "We need to change our perspective on housing." Arreguin noted that over the past year, the housing crisis has only deepened, forcing more people onto the streets with such cruel severity that he can no longer hold out for the perfect solution to the problem. Cities like Cupertino are bulging with new tech jobs yet unwilling to build new housing for those workers, Arreguin observed, thereby creating a domino effect across the region. "We're not the problem," he said of Berkeley. "We're building housing. It's places like Moraga and Cupertino. Essentially they have built a wall around their city and this is only making it more expensive in places like Berkeley." A bit of pragmatism is also behind Arreguin's change of heart on building housing at all costs. 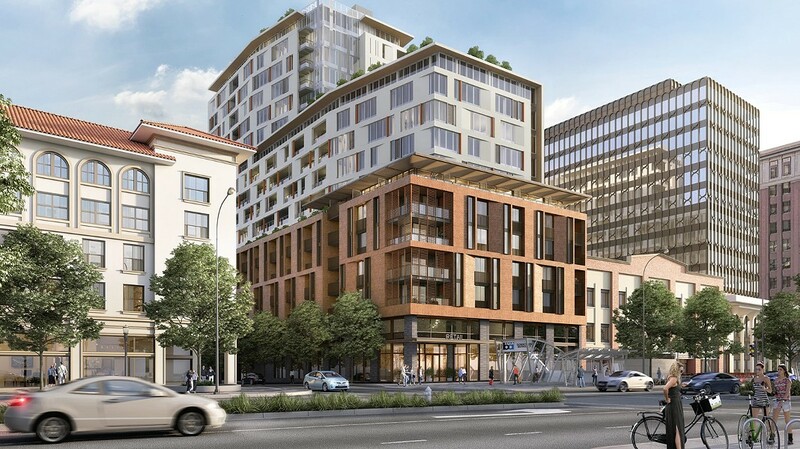 The project at 2190 Shattuck Ave. includes a $10 million contribution from developer Mill Creek Residential to the city's affordable-housing fund. Those proceeds theoretically can be leveraged with state and federal grants to attract three to four times that amount, Arreguin said. The city will receive the first $2 million when the developer begins pulling permits for the project within the next two years, he noted. "I have to think about the long-term future of our city," he said. Another element of Arreguin's shift is linked to fears that Wiener's 2018 legislation has returned this session as Senate Bill 50, which appears on track for passage sometime this year. New Gov. Gavin Newsom is expected to look much more favorably upon the proposal, leading to the expectation that the state could soon force cities' hands when it comes to creating as much new housing near transit as possible. "The state legislature is trying to take away the power to approve housing in local cities," Arreguin said. "If we stop approving projects, it's only going to give Scott Wiener a stronger argument in Sacramento." Arreguin's new outlook regarding housing construction is showing signs of spreading to other East Bay cities. Earlier this month in San Leandro, Mayor Pauline Russo Cutter briefly argued for the city council to approve a 45-unit apartment building with green certification, less than a mile away from the San Leandro BART station.